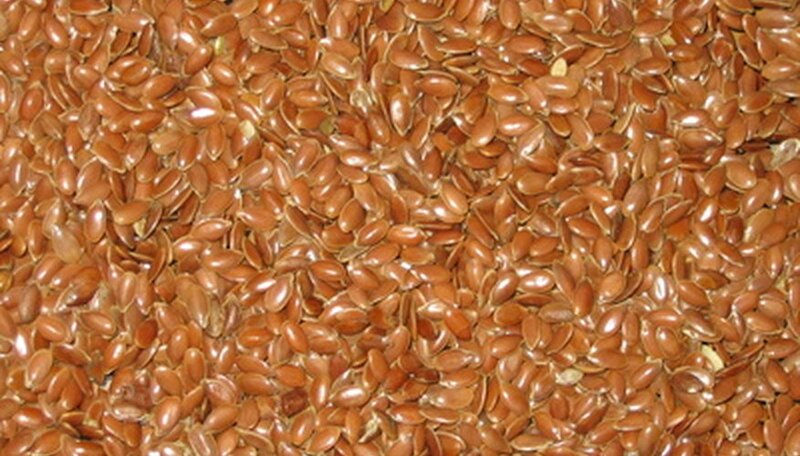 Regular flax seed is ordinarily a reddish-brown color. Golden flax seed is a hybrid developed for the color that makes it attractive for culinary purposes. More brown flax seed is made into cooking oils and linseed oil, which is used by artists in drying oil paint. Regular flax seed is largely grown in Canada while golden flax seed is grown in North and South Dakota. Golden flax seed has a more attractive color than regular flax seed when it is blended into breads and other foods. In 1989, North Dakota State University developed Omega, a hybrid variety of golden flax seed, for the food market. Whole flax seeds are sometimes used in breads, cereals, cookies, salads and yogurts. If they are not chewed, whole flax seeds will pass through the body. If the seeds are ground, they release more nutrients to the body. Just as whole yellow seeds are more attractive than whole brown seeds, ground yellow seeds are more attractive than ground brown seeds. Companies that sell golden flax seed tout its alleged “nutty-buttery” flavor and other adjectives claiming to separate it from regular flax seed. In fact, there is little if any difference in taste between golden and regular flax seed. Tests conducted by the Flax Council of Canada and the Canadian Grain Commission show that the content of alpha-linolenic acid, an Omega 3 fatty acid, is virtually identical in brown and golden flax seed. Omega 3 is a polyunsaturated fatty acid that the body cannot produce itself and must obtain through dietary sources. It is touted as reducing the level of cholesterol in the blood and plaque in the arteries. The levels of other minerals and fiber are also the same in both regular and golden flax seeds. Both regular flax seeds and golden flax seeds are used in favorite recipes in the same way. They also store the same way. If whole seeds are clean and dry, they can be stored for up to a year at room temperature. Ground seeds can be stored for several days in an airtight container and for about one month in a freezer. Although the taste and nutritional values are the same in both regular and golden flax seed, the less physically attractive brown flax is usually cheaper. Golden flax seed is often grown organically, making it even more expensive. Bioriginal: Golden Flax vs. Brown Flax: Is There a Nutritional Difference?